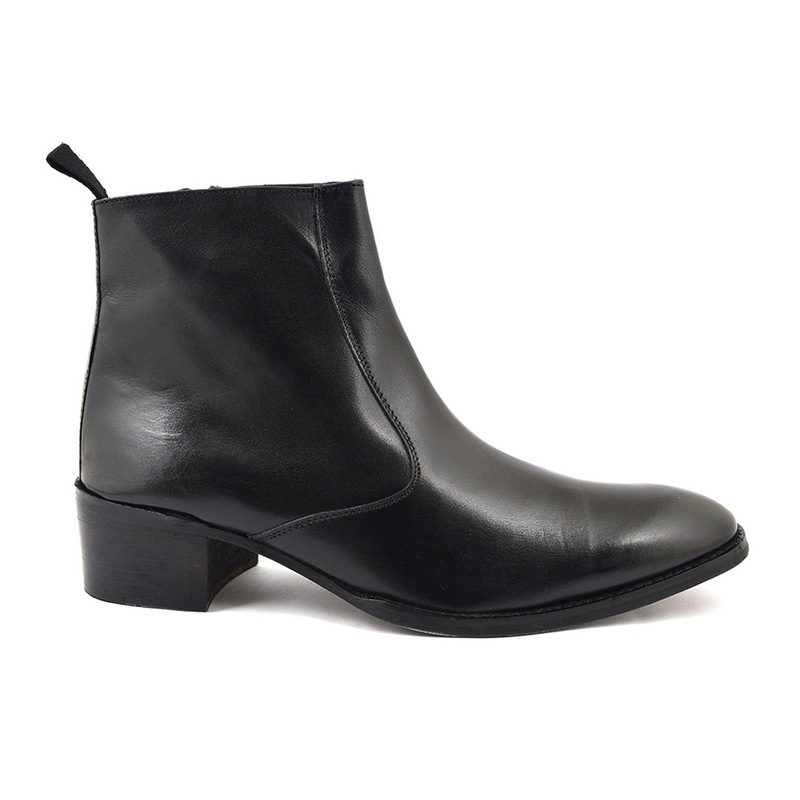 A fab heeled boot for men, this black cuban heel is 5cm high and made in a lovely leather. The toe has a soft curve to it and the fastening is a zip with a tab at the back. 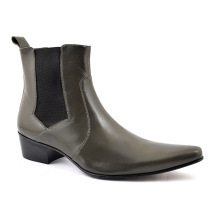 The overall silhouette is simple but the fact it has the heel is the key to this cool mens boot. 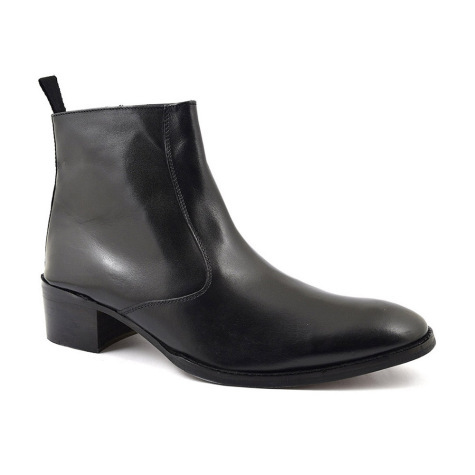 A simple but elegant looking black cuban heel mens boot in leather. 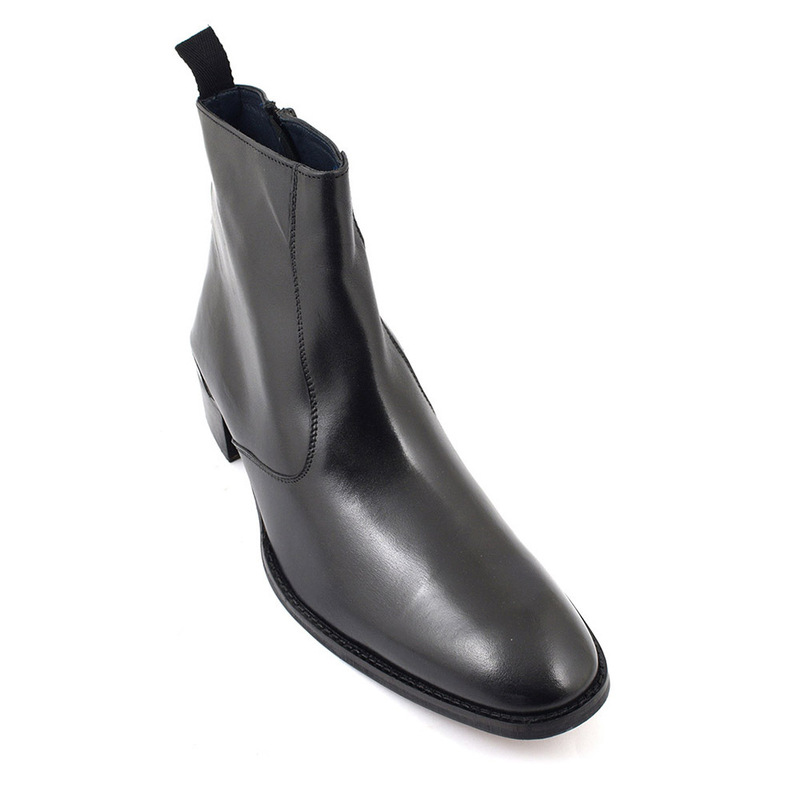 The height of the heel is a good 5cm and the overall look of this zip-up boot is sleek. The black leather on this cuban heel is highly burnished and the heel is a block style. Men wearing heels is no new thing. Did you know that men as early as the 9th century were known to have worn heels in battle? In fact, over the centuries men wore heels at different times when they were in fashion. Taken from Persia the style crossed into Europe and was lauded by the elite such as Louis XIV. Of course there was no practical reason one would have heels to walk about town in those days as the street were so uneven but that was the point. The elite had no need to walk those streets! Women took up wearing heels to masculanise their look (along with smoking pipes and cutting their hair) and men began to wear them less and less. 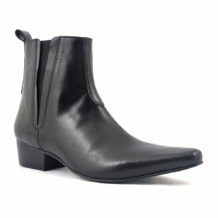 For a long time mens heels were not cool to wear but in the 60s, chelsea boots became fashionable. 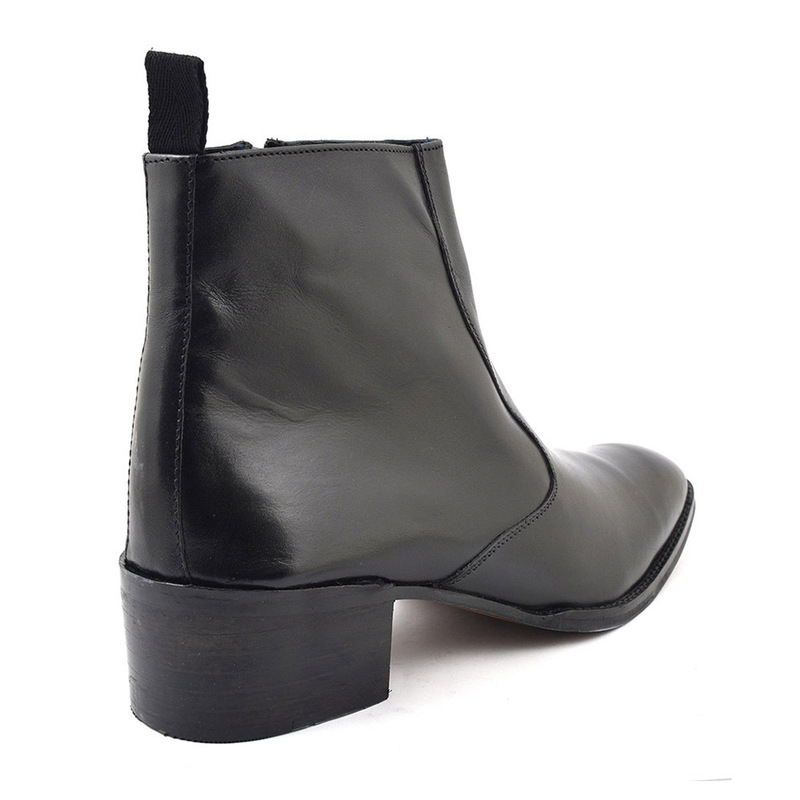 The Beatles asked Anello and Davide to design the same boot but add on a cuban heel. The Beatle Boot was born! Since then, mens cuban heels have stuck around with a resurgence recently. These black cuban heel boots will have any man looking stylish. You just have to own it. Think of all those super stylish men in their heels now : Noel Fielding, The Kills and The Horrors to name but a few. Be the first to review “Paul Black Heel Beatle Boot” Click here to cancel reply.